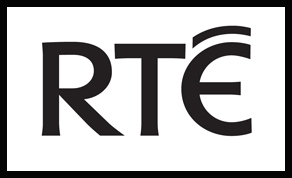 The two-part series received a 1.1 million reach on TV and has become one of the most watched documentaries ever on the RTÉ Player with over 90,000 views since its air date. Last night's concluding episode of ‘Whistleblower: The Maurice McCabe Story’ was watched on RTÉ One by a huge audience of 555,000 (average) with a 44% share. Episode one which aired on Monday night continues to grow its audience, having already added a further 54,000 viewers to its original 509,000. The two-part TV documentary had exclusive access to in-depth interviews with Maurice and Lorraine McCabe, as well as Maurice’s 91 year old father Michael and other family members. Through candid interviews and extraordinary archive, these films tell the story of this intensely private family who were catapulted into the limelight after Sergeant McCabe became the country’s most prominent Garda whistleblower. RTÉ reporter Katie Hannon detailed the events that saw Sergeant McCabe become isolated and ostracised within the police force for simply doing what he saw as the right thing. The documentary also shows how Maurice McCabe subsequently came to be the victim of a whispering campaign that led to the establishment of a Tribunal of Inquiry, chaired by Mr Justice Peter Charleton. Other key credits on ‘Whistleblower: The Maurice McCabe Story’ include production department assistant Aoife Rickard, DoP Matt Naughton, editor Ray Roantree, composer Alexander Parsons, executive producer Sean Mac Giolla Phadraig, with post-production sound from Alvin Sweeney and grade and online from Oleg Jitov. ‘Whistleblower: The Maurice McCabe Story’ aired on 12th and 13th November respectively and is now available on RTE Player.